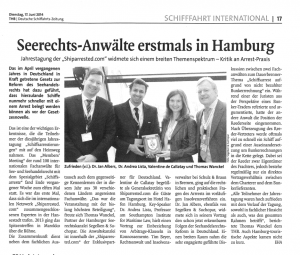 Hosted by Thomas Wanckel, Segelken & Suchopar, the 11th Shiparrested.com Conference took place on 12-14 June 2014, Hamburg, Germany, interconnecting 108 worldwide members coming from 43 countries. 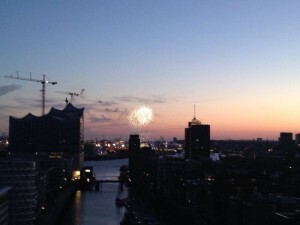 The Hotel Hafen Hamburg was a fantastic venue to gather all members flying in from the four corners of the world. 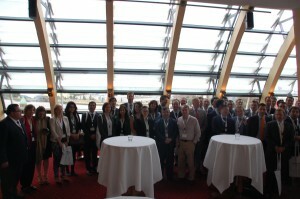 On Thursday June 12, a welcome party was held from the top of the coffee plaza building. Dominating an impressive view of the modern part of the harbor, contacts were introduced at the start enjoying a wonderful food. 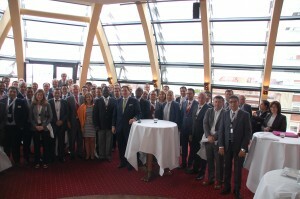 On Friday, the conference programme consisted of a lecture by Dr. Andrea Lista from the Southampton Institue of Maritime Law and panel debates on core topics for the ship arrest business. 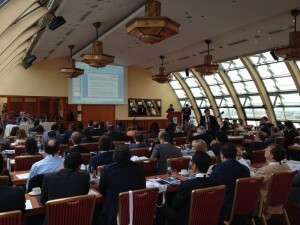 The industry was closely involved and offered rich paralleled view to members. 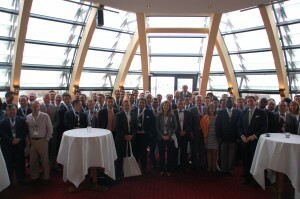 We further celebrated the success of the seminar around a formal dinner at the very special Hafen Klub Hamburg. 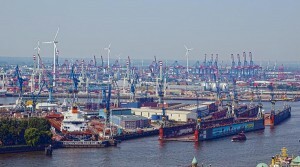 On Saturday we gather again to visit Hamburg by boat and bus, discovering the old and new parts of the city from land and sea. A farewell get together lunch was the set up fot the “returning of the shiparrested flag” that had been flying on the hotel during the conference. Official photos will follow shortly.